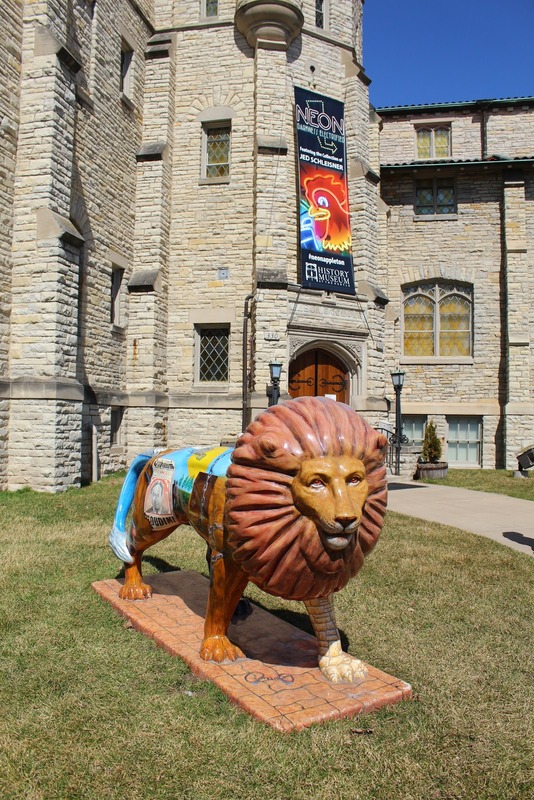 "The Metamorph Lion" [Tribute to Harry Houdini] is located at The History Museum at the Castle on westbound East College Avenue, at its intersection with North Drew Street, at 330 East College Avenue, Appleton, Wisconsin 54911. With my friend, Areli, her niece Jessica and nephew Joel. The History Museum at the Castle.